The idea of displaying the words of the Decalogue on a wall is not a new idea. Those ten words have been kept before the faithful for centuries. Here are two examples of Exodus 20 used as wall decoration. 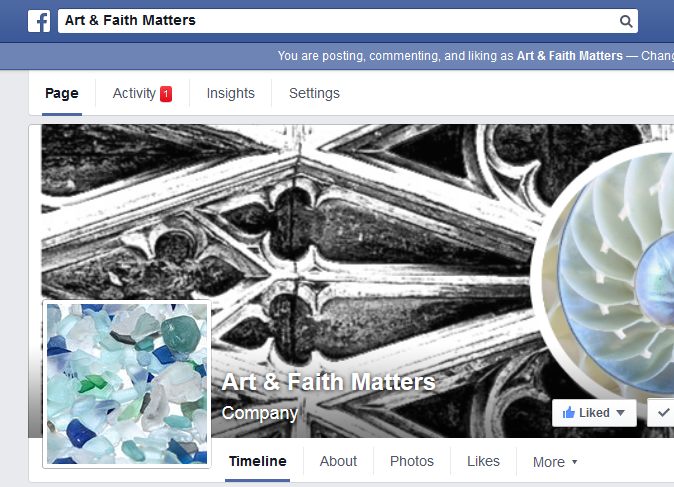 As it happens, both are in churches, but the use of the Commandments is distinctly different in each painting. One work is a 17th-century Dutch painting, the other is an 18th-century English engraving. Both help us understand how the Christian church has seen and used the words brought down from Sinai. 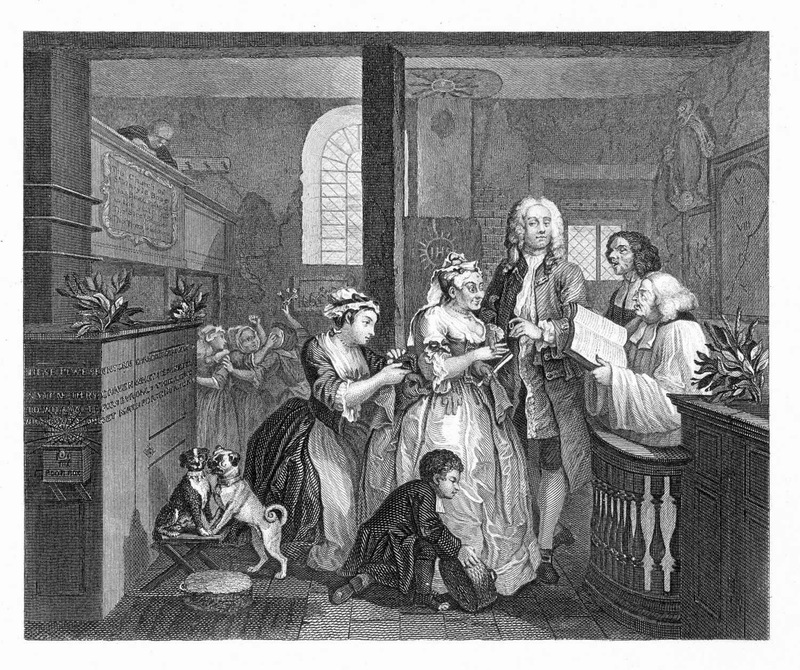 William Hogarth created a set of paintings, later turned into engravings for wider distribution, on the theme of "The Rake's Progress." The series follows the "progress" of a young man who inherits and squanders a fortune, losing his way in the process. The fifth scene is "The Marriage". Having lost his fortune and been bailed out of jail, the young man makes an economically advantageous marriage. Even as he is "plighting his troth" to his bride, he is casting his eyes on the young woman who is attending her. In the lower left corner, two dogs echo the pose of the bride and groom. William Hogarth. The Rake Marrying an Old Woman. Plate 5 from "A Rake's Progress." 1735. Etching and engraving on paper. London: Tate. T01792. The tablets containing the Decalogue are on the wall behind the minister. Look closely, and you'll see that even before the marriage ceremony is completed, the commandments are broken. Only one tablet, containing commandments 6-10, is visible in the print. The crack runs near the 10th commandment which reads: Thou shalt not covet thy neighbor's wife. 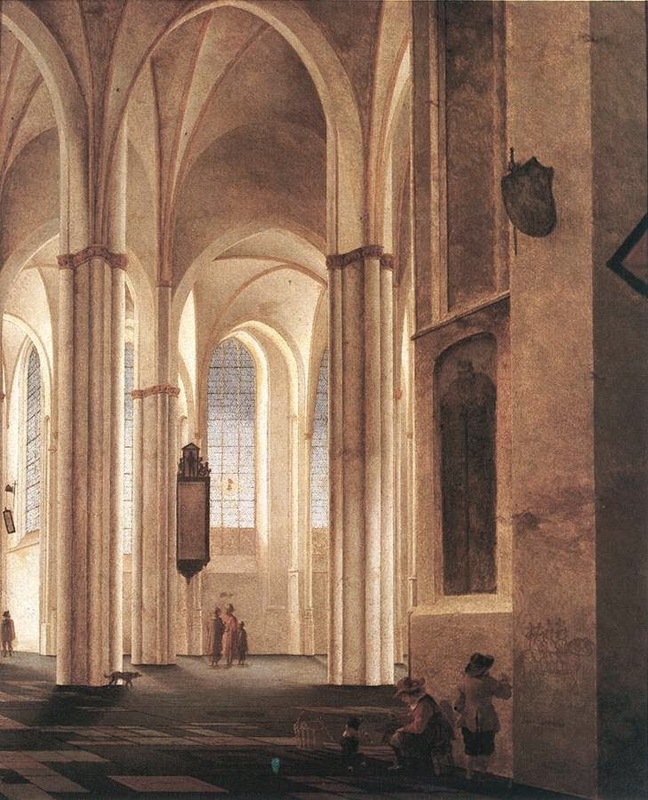 Many of the same elements are used in Pieter Saenredam's painting of the interior of the Buurkerk in Utrecht. Again two tablets containing the words of the commandments are hung on the wall of a church sanctuary. The large plaque seems to echo the Protestant emphasis on word rather than image. In an interesting artistic choice, though, the actual words on the plaque are unintelligible. Looking closely at the painting, one will only see paint. Here, the tablets, topped by a sculptural portrait bust of Moses (interesting in light of the prohibition of images in the second commandment) serve as a backdrop to two young men. One of the young men is putting graffiti on the wall. He is illustrating a chivalric tale about four brothers and a magic horse. The other is, if not teaching, at least reviewing tricks taught to his dog. Pieter Saenredam. The Interior of the Buurkerk at Utrecht. 1644. Oil on oak. London: National Gallery. NG1896. The dog, shown sitting up on its back legs in a position of receptivity faces the commandments, while his master's back is to the ten rules. This position is indeed meant to underscore the idea of learning, and in Dutch art, the dog symbolizes leerzugtigheid (Christian aptitude). This painting, then, comments on instructing the faithful, and perhaps specifically children, under the watchful eye of the Ten Commandments. Two works of art. Two ways to think about the ten commandments in the life of the church. As a historical note: Neither of the church buildings shown in these works is home to a worshiping community in 2014. The Marylebone church depicted by Hogarth was destroyed in 1740. There is still a church by that name in London. The Buurkerk in Utrecht is now the home of the Museum Speelkiok (http://www.museumspeelklok.nl/?Language=en). For thoughts on the epistle reading for Proper 22(27)A [Philippians 3:4b-14], click here. Business as Usual at Horeb?